Seen a bike you like but want to try it before you make your final decision? At Leisure Lakes Bikes we have a huge demo fleet so you can try the latest bikes on your local trails to really get to grips with how it rides on trails you know! Please be aware that when demoing any bike from us we must charge you a refundable rate of £1500. This price will be taken on collection of the bike and refunded on the return of the bike. Please note failure to return the bike will result in Leisure Lakes Bikes recovering the full retail value of the bike from the rider. Please read our full terms and conditions below before demoing a bike. Check out our demo fleet below and arrange a demo from any of our 10 UK Stores! 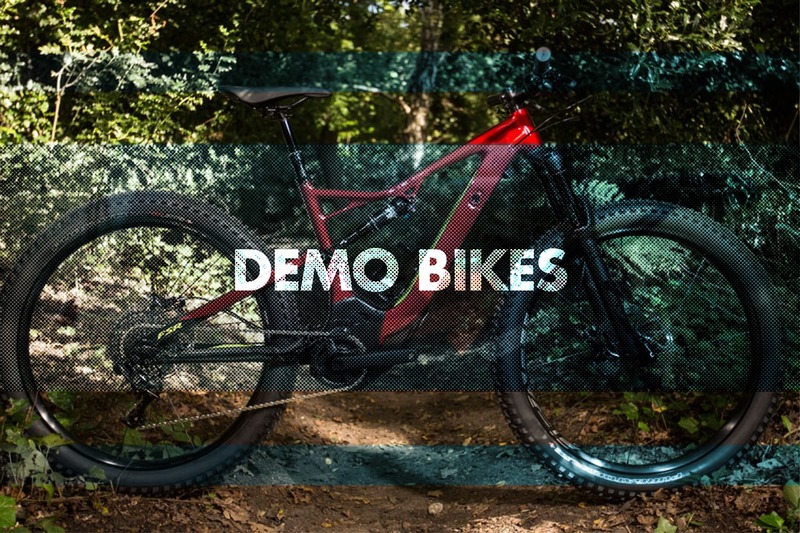 Can’t see the bike you want to demo? Call your local Leisure Lakes Bikes store and we can try and arrange a demo bike for you from one of our suppliers. What Do I Need To Demo A Bike? If you’re looking for a new bike but haven’t yet narrowed down your choice; we are renowned for holding some of the biggest demo days in Europe so you can try all tonnes of bikes from all the top brands, back to back! This is a rare chance to be able to get a side by side comparison from the brands ranges and speak to the reps about all the technology and development of different models. Check out the video from our annual Cannock Chase Demo Weekend and don’t miss out on tickets as they sell out fast! Sign up to our newsletter to be the first to know about our events! We have loads of events running throughout the year at all of our stores and the surrounding areas so make sure you check out our Events section and don’t miss out on testing the latest bikes and kit!